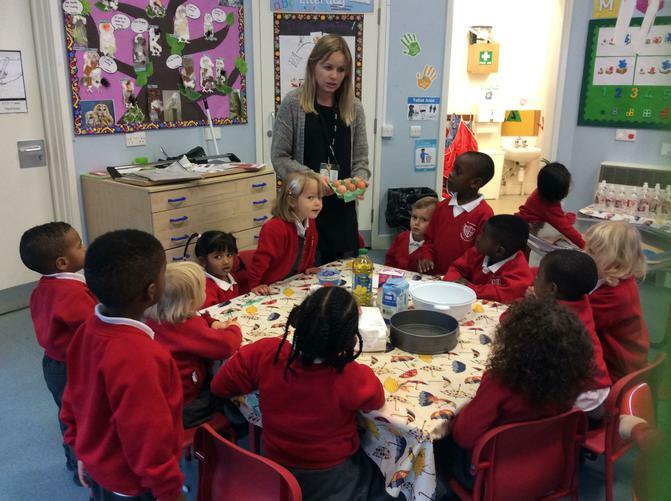 The teacher is Mrs Nogales and the teaching assistant is Mrs Scaramuzza. 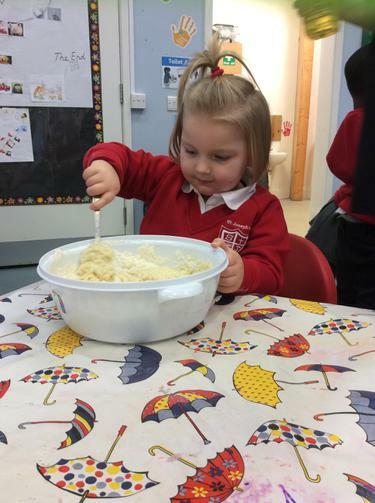 We have 2 sessions in the nursery AM is 8.45am - 11.45am and PM is 12.30 - 3.30pm. 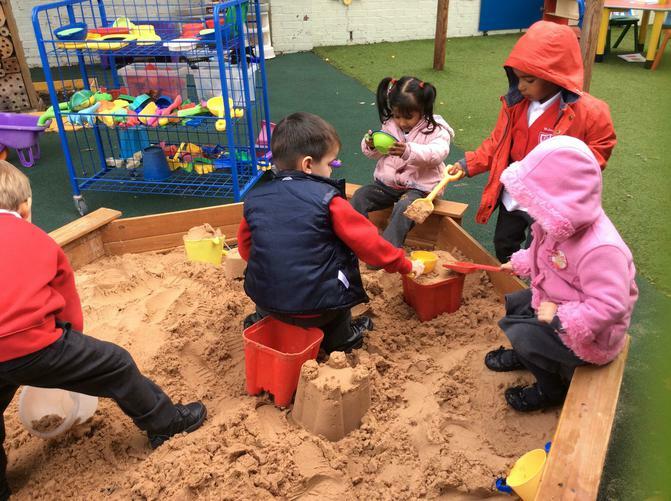 We love our outdoor area which allows us to play in all weather. 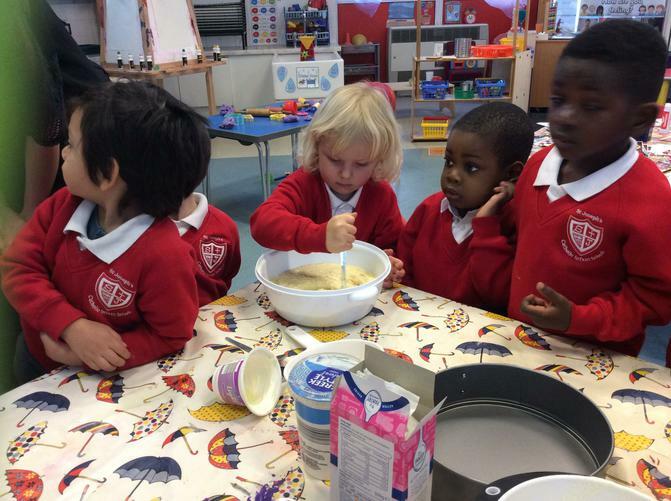 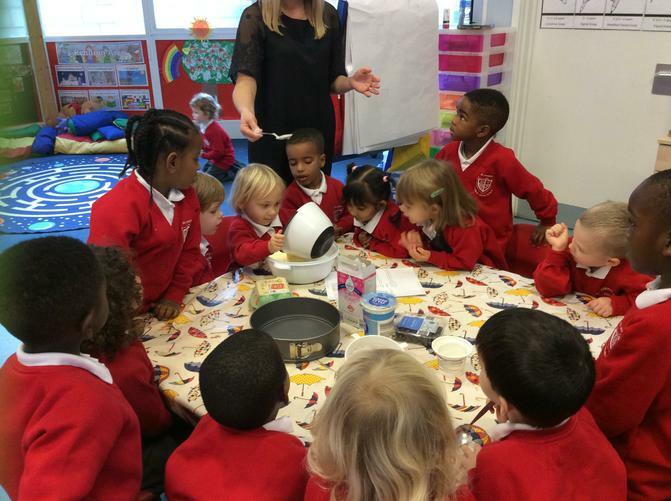 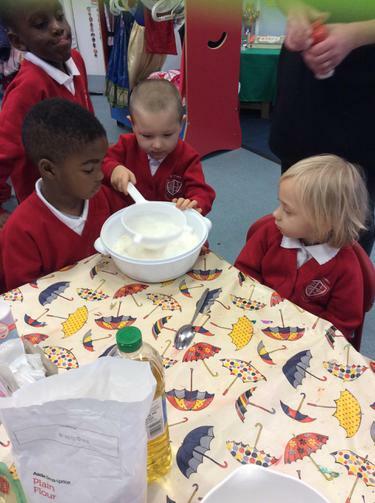 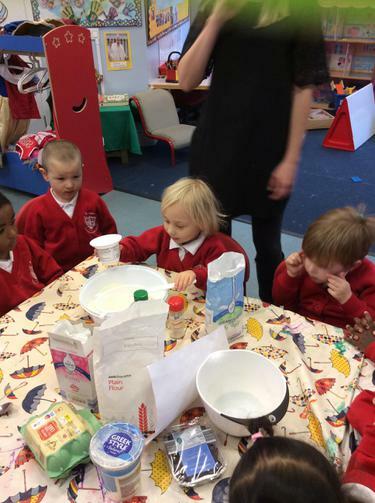 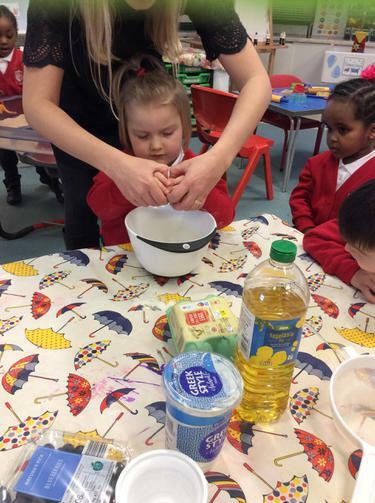 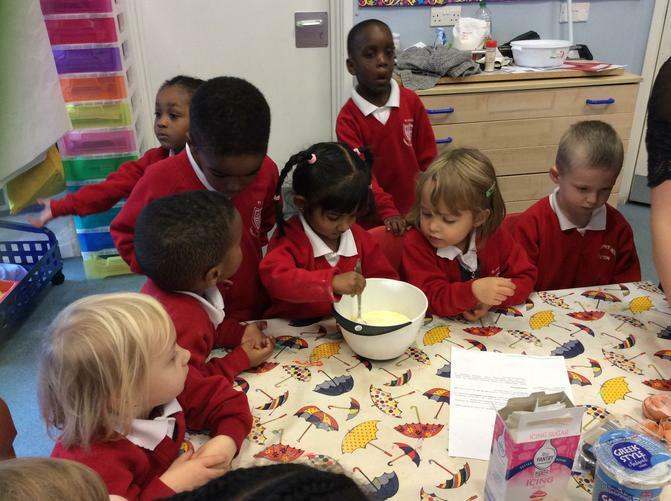 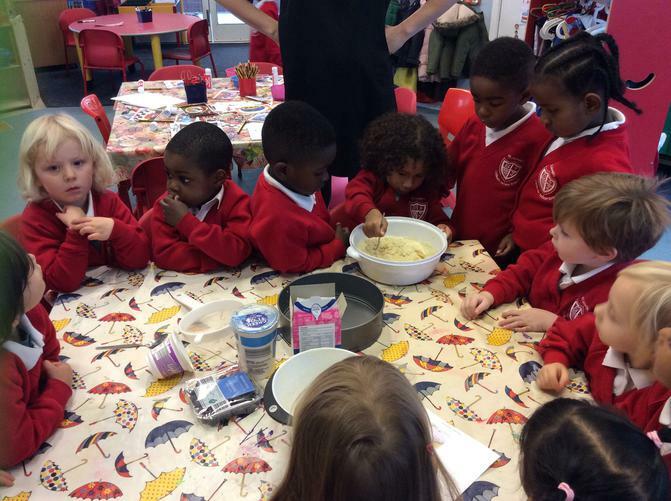 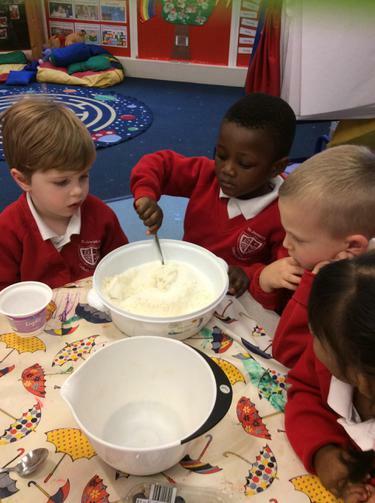 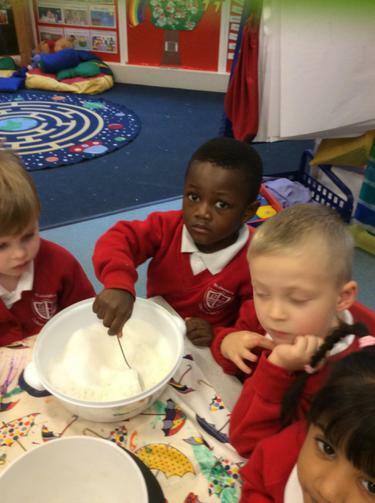 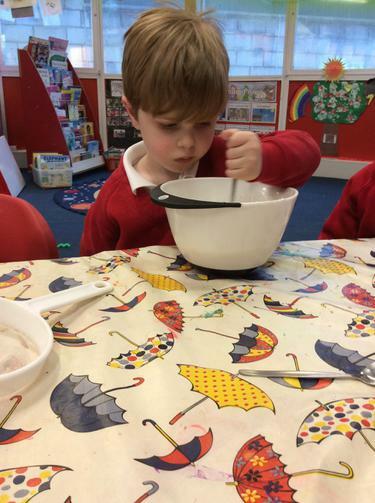 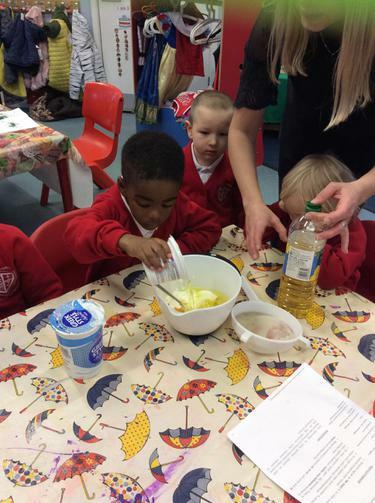 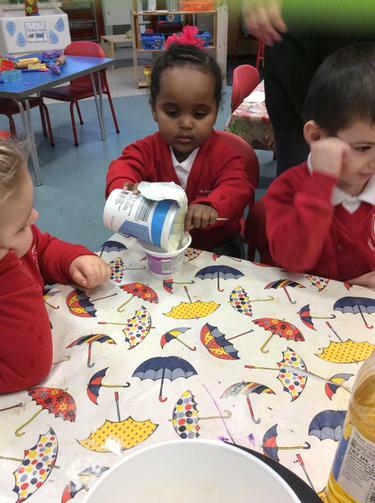 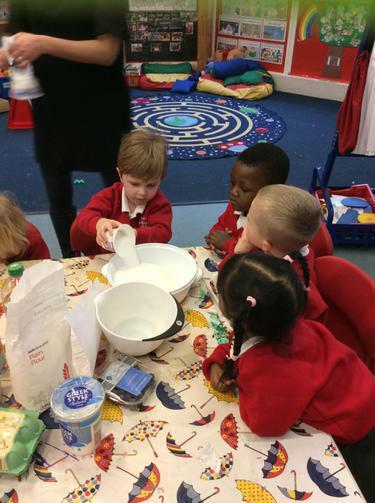 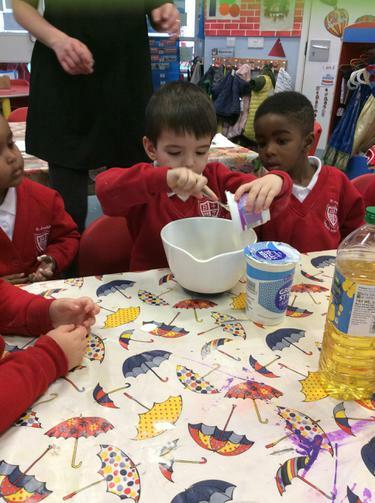 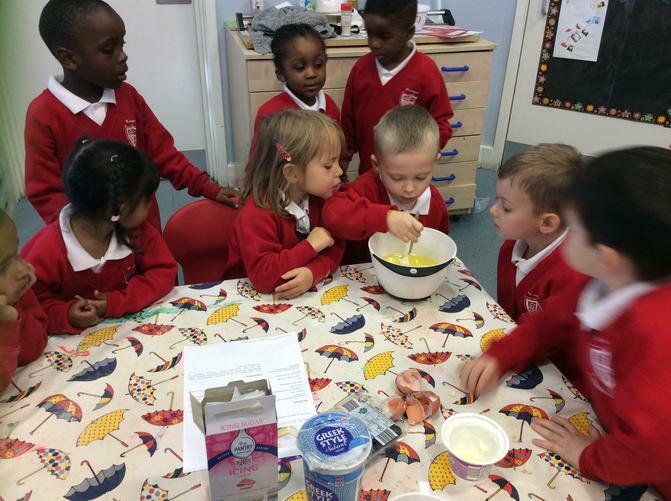 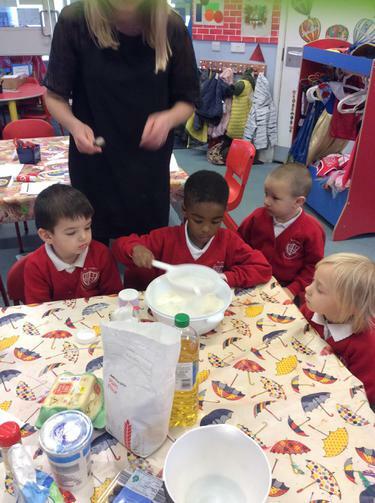 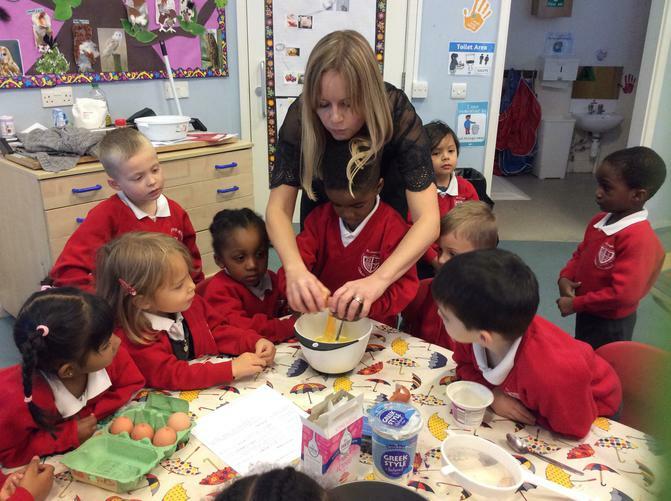 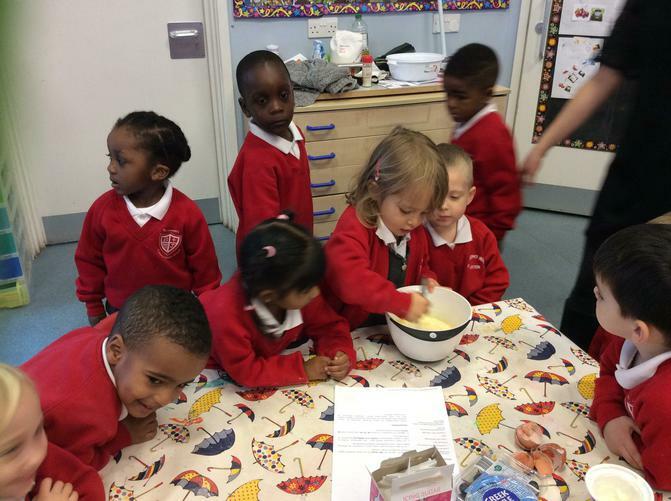 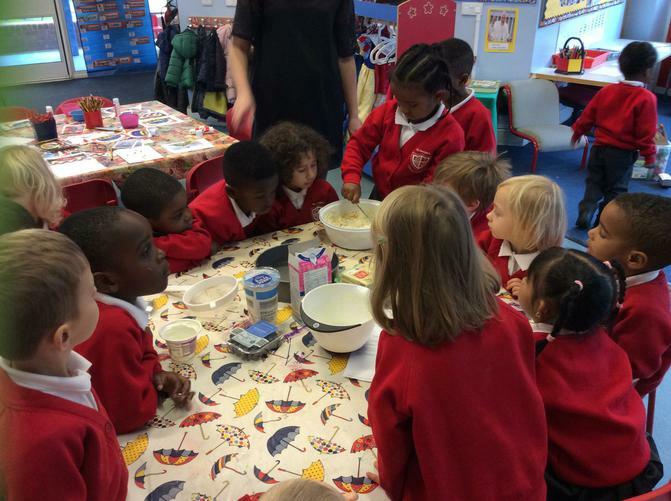 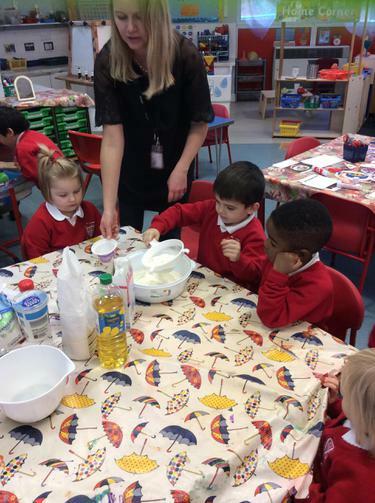 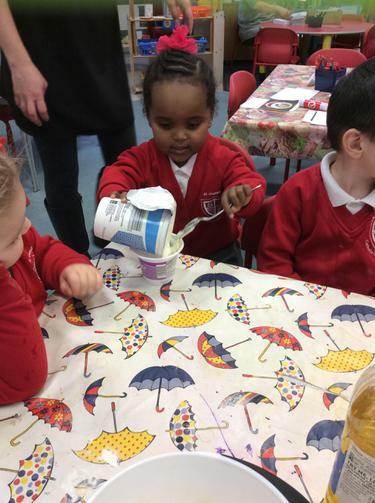 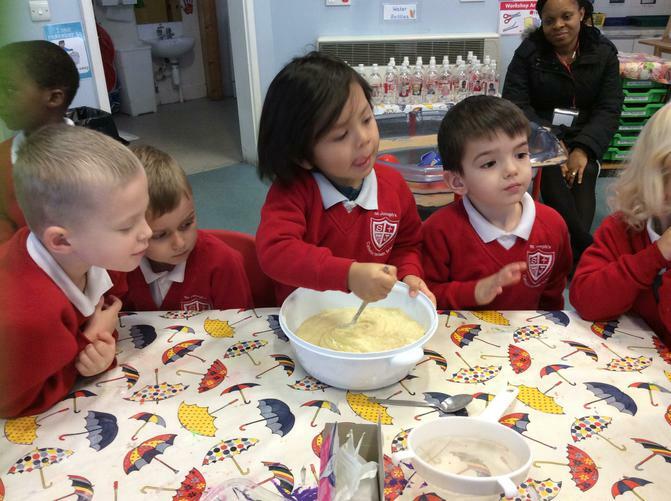 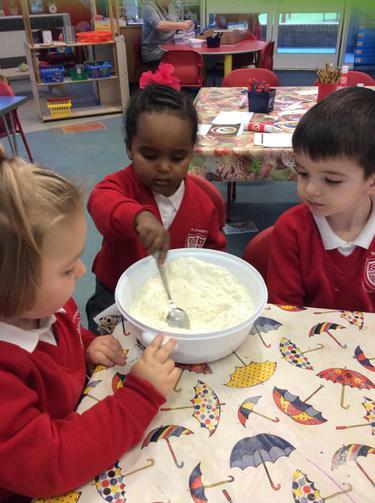 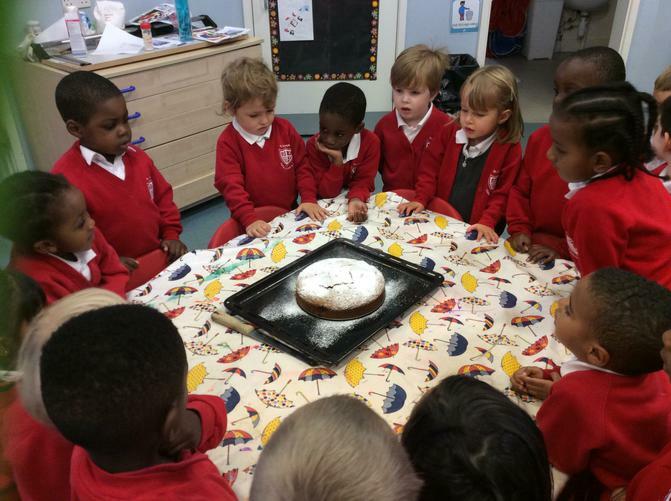 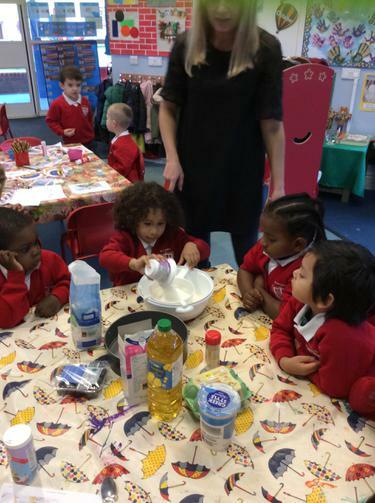 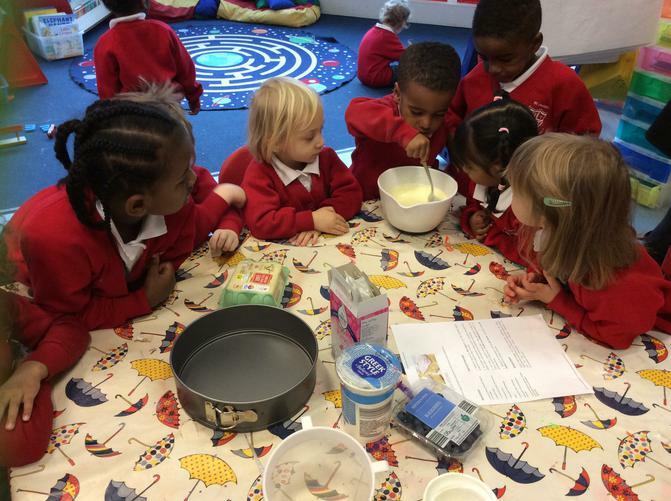 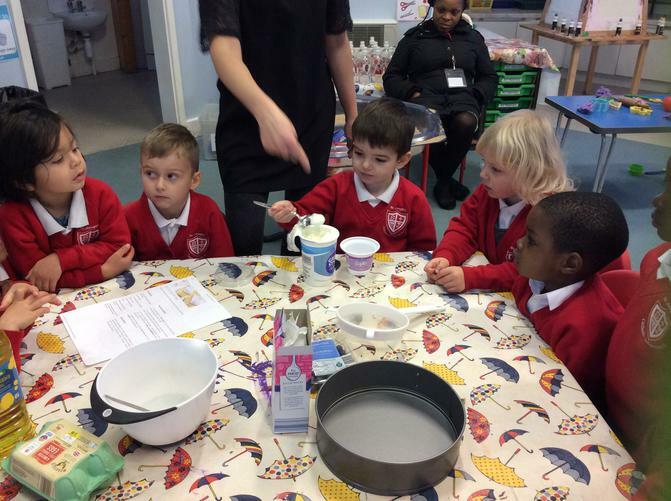 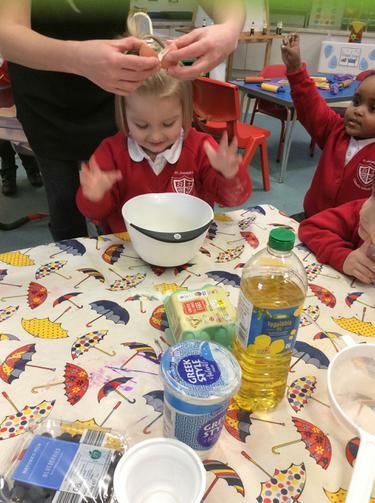 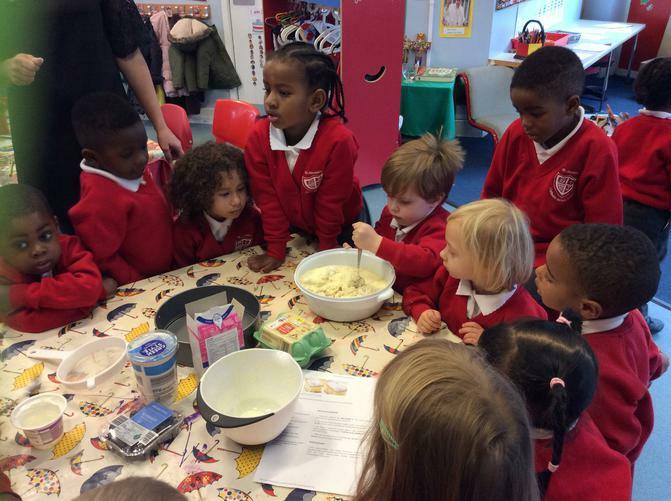 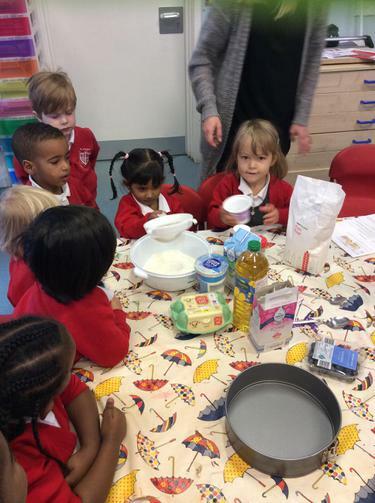 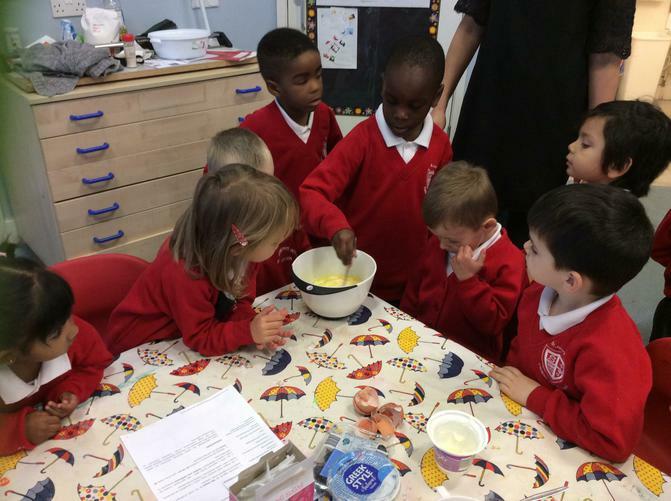 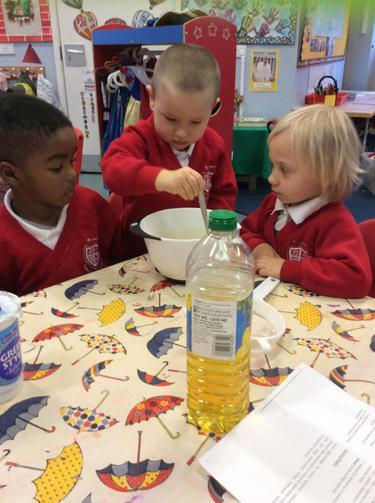 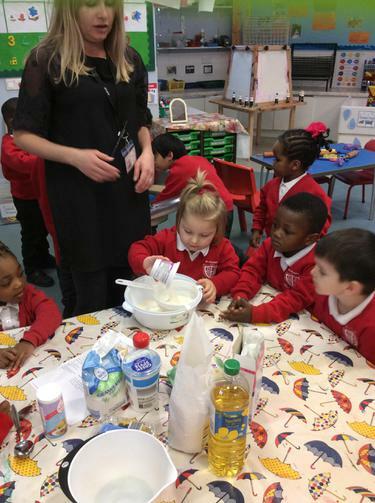 Children in nursery have been learning about different celebrations. 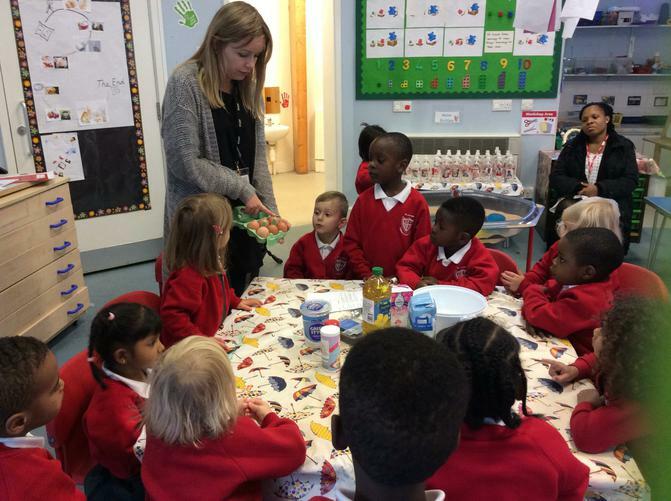 We have talked about celebrating birthdays and read a story 'It's My Birthday', which the children enjoyed a lot. 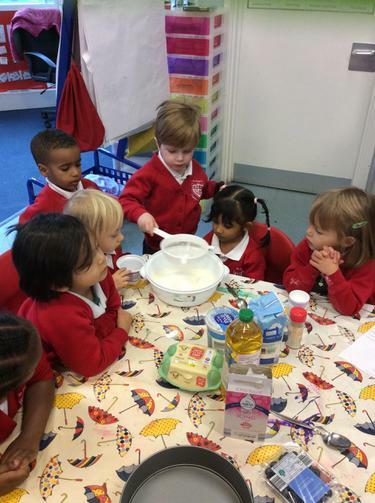 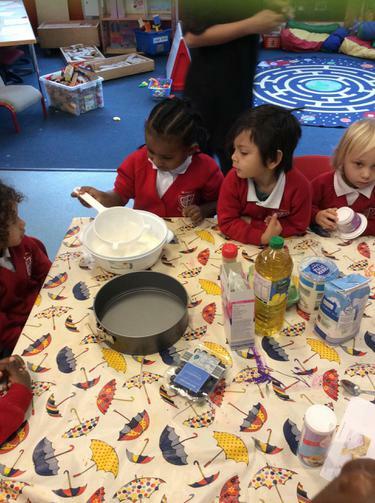 In the story, the main character is baking and cake and needs to get all the necessary ingredients. 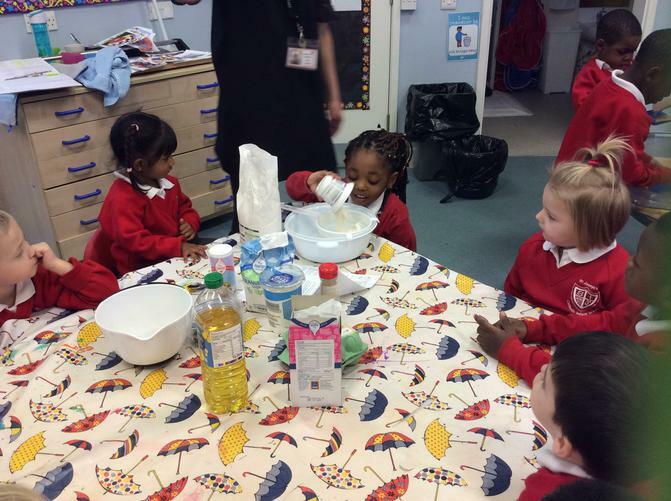 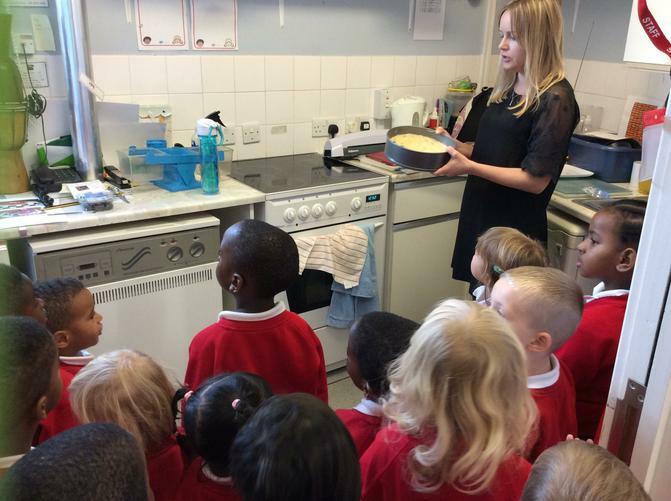 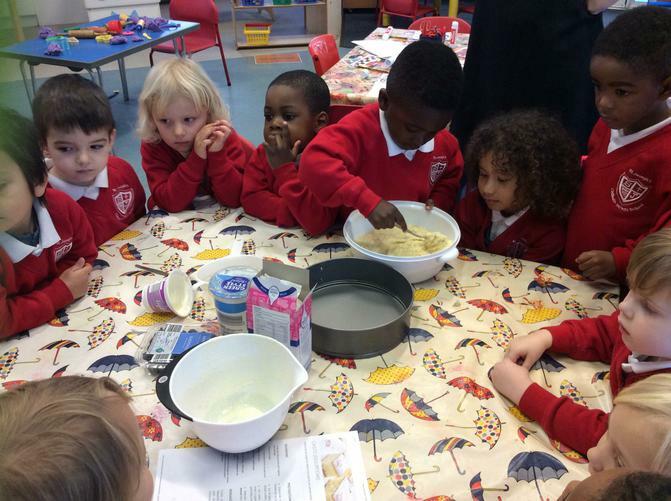 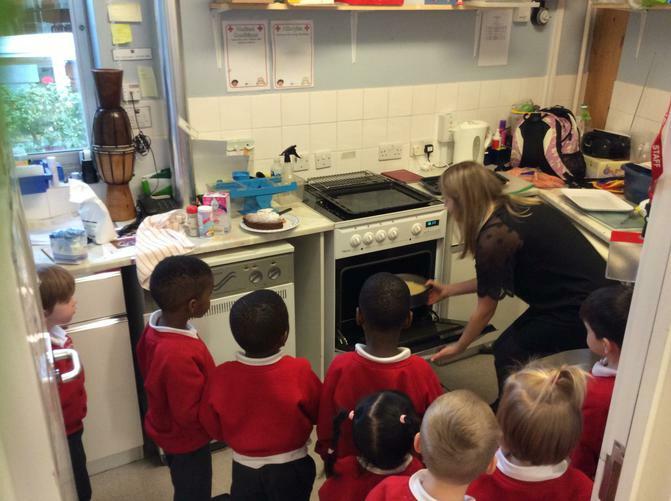 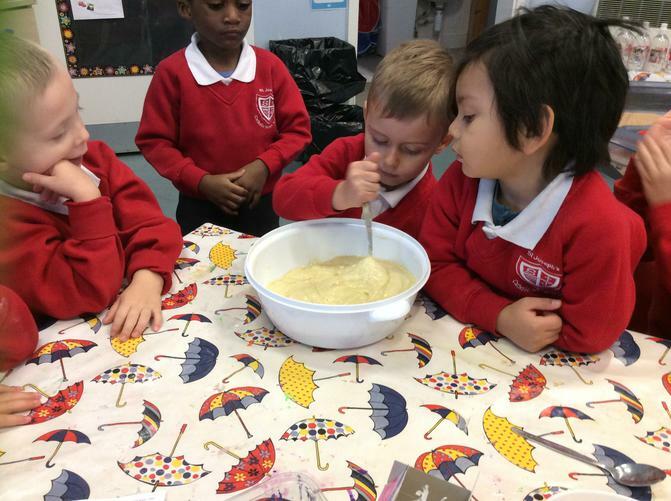 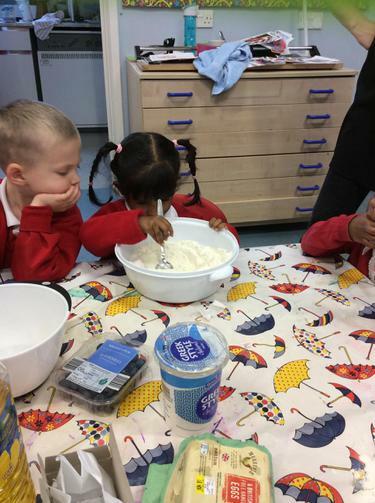 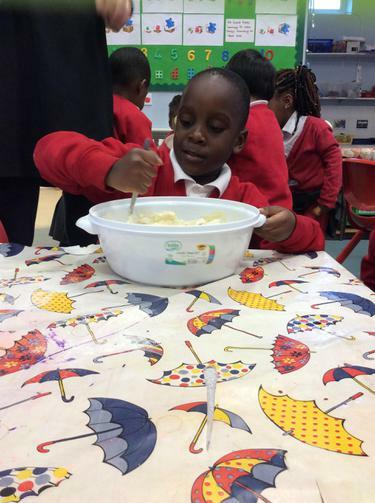 We read the story all week and baked our own cake which was simply delicious. 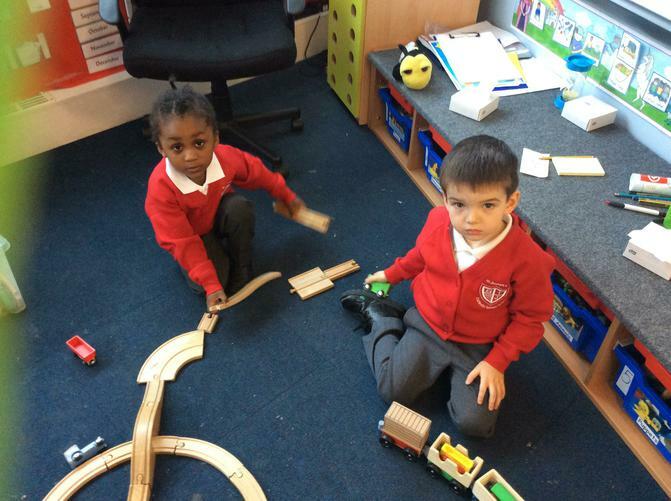 'The children have settled in the nursery. 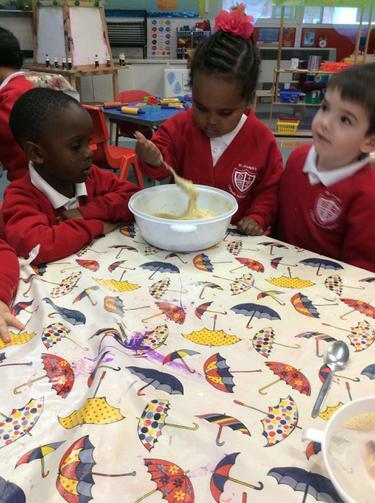 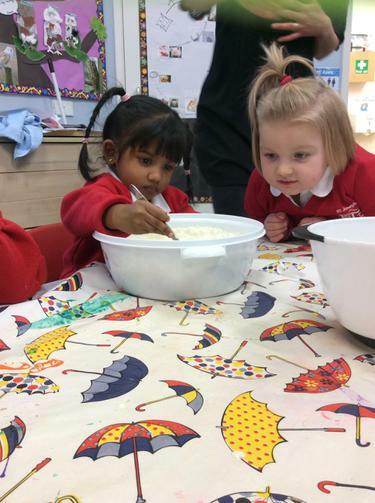 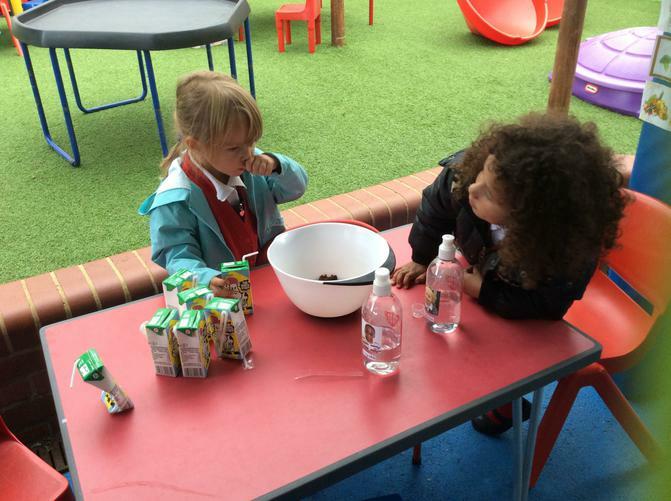 They are making new friendships, learning how to share and take turns, experimenting with different textures and enjoying the learning environment'. 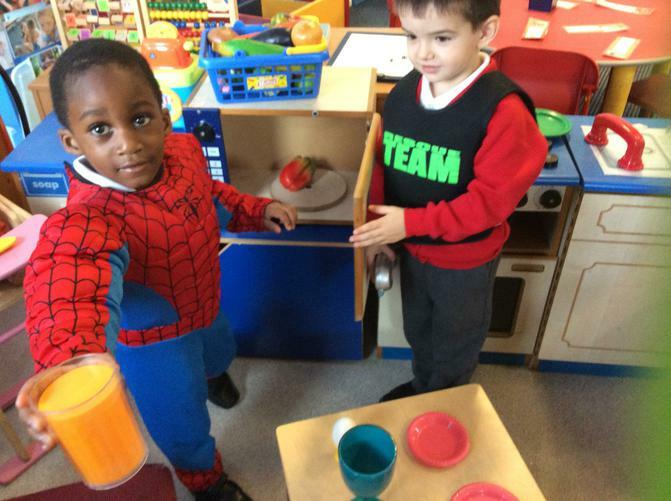 Ruth Miskin video Learn about how the phonic programme works. 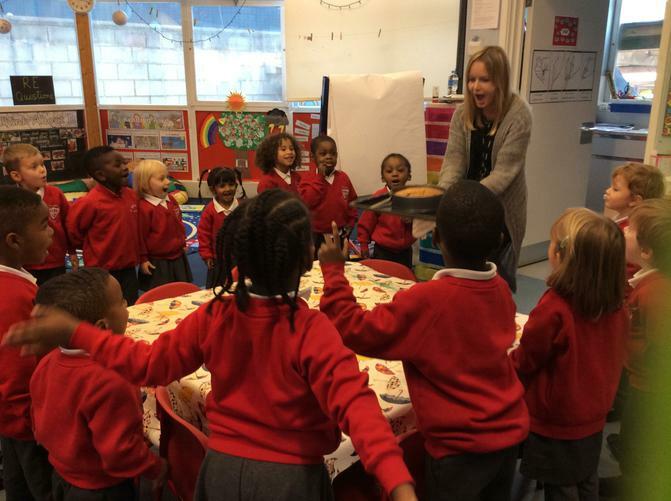 The Numeral Song The numeral song – this will help you learn to write your numbers . 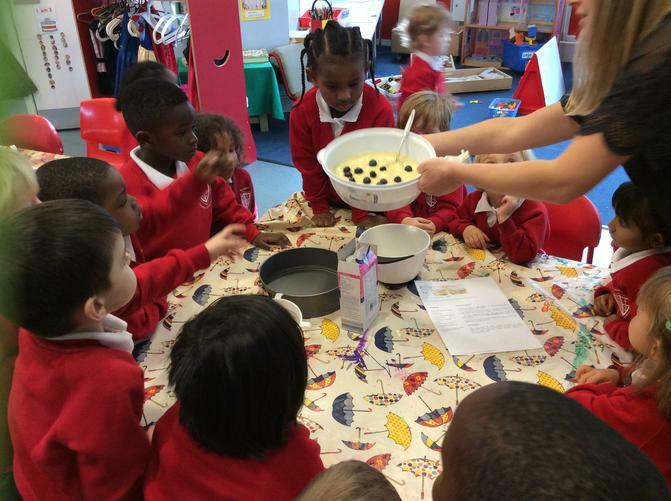 1 2 3 4 5 Once I caught a fish alive.